Shop Homes For Sale in Chinatown Las Vegas. Discover Shops, Dining, and learn more about this are of Las Vegas referred to as Chinatown. Chinatown, also referred to as Asian Town. The area is vibrant with many businesses of Chinese origin and theme thriving in the area. There are numerous shops, restaurants and shopping malls that you can shop at. The town started to develop in 1995 when the Chinatown Plaza was opened. This opened up the area since other businesses started to emerge. In 1999, the place had so many Chinese businesses such that the former Nevada Governor Kenny Guinn officially named it China town. The town is quite small as compared to another town around it since the businesses only cover about half a mile along the Spring Mountain road. According to history, the Chinese population was a minority for many years. The only way for them to get noticed and increase in population was for the investors to start businesses that would attract many more of them to the area. Businesses in the area started to thrive between the years 1960 and 1990 where there was a significant growth in the region. The majority of the Chinese people worked in casinos, but as years went by, they diversified to venture into other businesses. 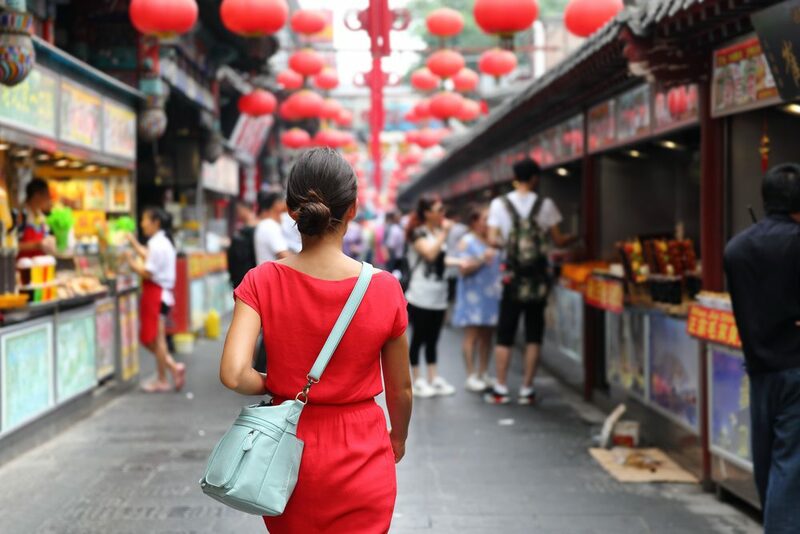 Chinese Mama: this is the best place to visit if you want to enjoy the sumptuous soup dumplings. You will also get to enjoy beef rolls that have been thinly sliced and marinated beef that is taken with cilantro. DJK Korean BBQ: this place is open 24/7, therefore, is perfect for late night meals or early morning breakfast. Additionally, you will get to enjoy 20% discount for any meal that you take between 11 pm to 8 am. Some of the dishes that you will enjoy here are spicy fish soup, barbeque, pan fried pork with kimchi and tofu. There is also a serving of your favorite Chinese vegetables, rice, potatoes, corn and shrimp among others. Hot and juicy crawfish: this is not a fully Chinese restaurant, but it has some quite delicious meals. You will enjoy your meal of crabs, lobsters, oysters alongside corn, potatoes rice or fries. Monta Japanese Noodle House: this is the one restaurant in the area that serves a variety of noodles such as soy sauce, bamboo shoots and chashu roasted pork. There are two restaurants that are famous for their desserts. • Diamond Bakery: this is the one place that you will get a wide variety of sweet tasting desserts. Some of them are pastries. Cakes, cookies and bread among others. • Kuma snow cream: do you like frozen desserts? Then this is the place to go. They serve ice cream in different flavors and in various quantities too. One of the most conspicuous businesses that you will notice when you get here is the China Town Plaza. It has a unique architectural design by Tony Dynasty and has a rich display of Chinese culture both on the inside and the outside. During the New Year in China, there are also Chinese celebrations that are hosted here for those whose origin is China to feel at home. Some of the businesses that you will find in this area are restaurants, gift shops, supermarkets, tea shops, beauty shops and herbal shops among others. 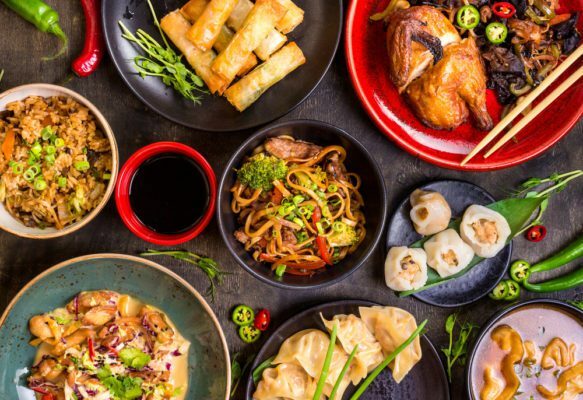 Some of the foods that you will get to enjoy here are exotic fruits, green ice tea, seafood, dim sums, meat and a cold deli with shrimp dumplings among other Chinese cuisines. As a matter of fact, the most attractive feature in the town is the food. Besides Chinese foods, there are also Filipino, Vietnamese, Korean and Japanese cuisines.